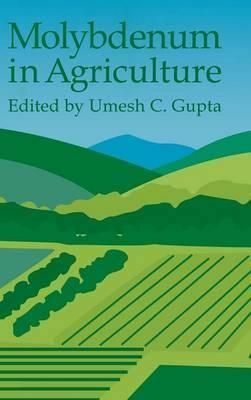 Description: Molybdenum (Mo) deficiencies in field-grown plants were first recorded more than 50 years ago and this book condenses all the information currently available on the subject of molybdenum as it relates to soils, crops and livestock. The book reviews our knowledge of the chemistry and mineralogy of Mo, the extraction of available Mo from various soils, the various analytical methods of determining Mo in soils and plants, the biochemical role of Mo in crop production, the technology and application of Mo fertilizers to crops, the response to Mo of various temperate and tropical crops, Mo deficiency and toxicity in various plant species, the interaction of Mo with other plant nutrients, and the distribution of Mo within the plant. Factors affecting the availability of soil Mo to plants and Mo status in the semi-arid and sub-humid tropics are also discussed.